The centuries-old tradition of writing for advocacy is continued into the digital era by blogging. But what should you be writing about? 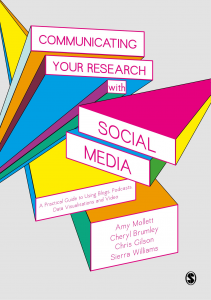 As part of a series previewing their new book Communicating Your Research with Social Media, Amy Mollett, Cheryl Brumley, Chris Gilson and Sierra Williams consider the various different types of blog posts and how each might be used by academics. 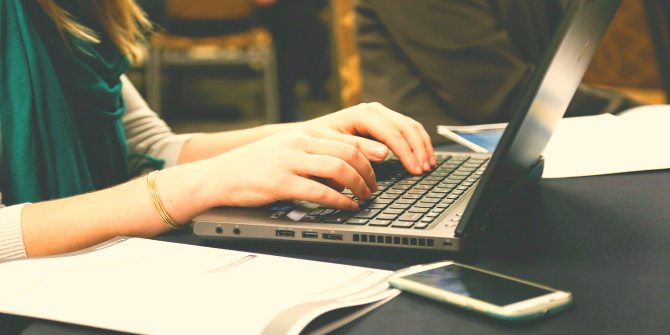 Blogging has become ubiquitous in the academic sphere – whether that be lone academics like Paul Krugman blogging for the mainstream media, or multi-author blog collectives like The Monkey Cage or The Duck of Minerva. But if you’re just starting out as a blogger it can often be a challenge to begin and to keep writing. Here, we’ll give you some pointers on what to write about on your blog to keep people interested. Before we go on, it’s worth noting that length is important. Whatever the topic, a blog post should be a minimum of 500 words long and a maximum of 1,500 words. This length gives you enough space to introduce your topic and explain your thinking. Some types of blog post will tend to lend themselves to different lengths. Just remember though, audiences are impatient. Content on the web is not like a book or a magazine that can command readers’ (near) undivided attention. Evidence suggests that the vast majority of readers do not read any web content – websites or blogs – to the end. So remember: the shorter, the better. The subtitle above is an old chestnut, and for good reason. It is a piece of advice that can be as equally applied to writing for your blog as for any other medium, and that’s our first category: writing about your research. 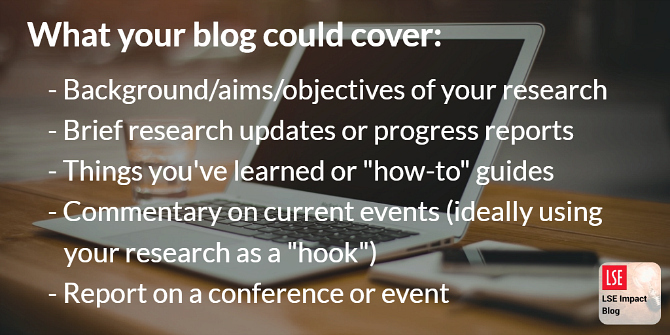 Posts which outline the background and aims of your research are often an ideal place to start when beginning your own blog. This will introduce readers to you and your work and will be a good signal to show them if your blog will be of interest to them as it continues and progresses. Image credit: Startup by StartupStockPhotos (CC0 public domain) via Pixabay. This then leads to the next type of blog post: research updates. A major problem that early career researchers or those new to the idea of blogging often complain of is that they have nothing to write about. But they will almost always be working on something. Why not blog about it as well? For a research update blog post, you don’t have to wait until you’ve completed fieldwork or have some findings to report – though those are obviously worthy topics. An update could just as easily be about your latest thoughts on how to tackle your research question, reflections and comments on papers and research reports you’ve recently read, or reactions to conversations you’ve had with colleagues and peers about a project. In many respects, this type of post serves almost as a form of research diary – but an interactive one. As you develop and grow your skills as a researcher, you will learn things – and you should share these with others. Whether it’s how best to take advantage of the latest version of SPSS or a thinking exercise that worked for you, these are valuable insights which others are likely to be interested in, and that will, in turn, draw people to your blog. Gone are the days when early career researchers had to attend a departmental seminar to learn about new research techniques or areas of study – this sort of information is now only a Google search away. By clearly outlining what you have learned, as well as the problems which led to your need to understand something new, you can help others and give them a reason to visit – and return to – your blog. “How-to” or “today I learned” (TIL) guides are gaining in popularity online, and those written by academics, for academics (or students or anyone else working in research/academia) will always be popular among those global communities. 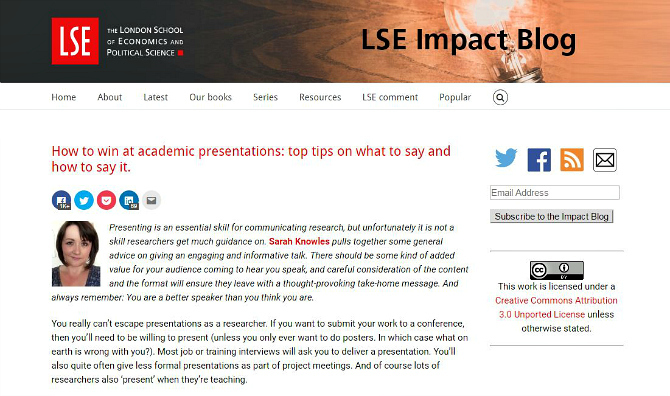 An example of one of the LSE Impact Blog’s “how-to” guides. A collection of these can be found at our essential ‘how-to’ guides page. Another type of post is the commentary blog post. This usually takes one of two forms: the commentary post based on current events but not linked to your research (good); and commentary with a direct “hook” linking to your research in some way (better). The first type is very common on sites such as The Conversation and The Guardian. They are typically commissioned by a central editor who wishes to publish commentary on a current event. This is also the case for many multi-author blogs as well. These posts typically introduce the topic that is in the news and then give some degree of insight into what’s been going on and why. While this commentary will draw on a researcher’s in-depth knowledge of a topic, it will tend not to include evidence such as graphs, charts or statistics. These types of posts are very useful for getting your name out as a commentator on topics that are of interest to the media, but less useful for disseminating your own research. Posts which link back to your own research are preferable for academic researchers but also, somewhat predictably, harder to do regularly. However, unless you are investigating something truly obscure, in all likelihood your research will have some relevance to a topic in the public consciousness at some point. This is why it is important to keep abreast of national and international news and debate as much as you can – you never know when your opportunity to contribute might arise. Given the constraints of the media cycle, your research does not even have to be “100% fresh”; if it is fairly recent it will still be relevant. For example, the winter of 2016/2017 has presented all sorts of opportunities for commentary on the Brexit debate in the UK, or the election of Donald Trump to the presidency of the United States. These debates would be ideal entry points for researchers with expertise on a range of topics, including (but certainly not limited to) climate change, economics, migration, social justice, populism, and politics. By establishing yourself as a commentator on current events, by using your own research as a hook, you not only generate material for your own blog but also showcase your writing for media outlets, which can enhance your reputation as an expert commentator and raise the wider profile of your organisation. The last type of blog post discussed here is the distant cousin of the research report: a report on a conference or other event. Whether early career or long-established, all researchers attend a number of conferences, seminars and similar events each and every year. Why not use these as an opportunity for comment? How often have we gone to such events, taken notes, and then never thought about them again? Committing to writing reports about these experiences means this process of reflection becomes an in-built part of your research process and experience. Many speakers at events and conferences will also have their own presence on social media and blogs of their own. Writing a reflective or critical blog post about an event ensures the discussion does not end when the live Q&A does, and also gives you an opportunity to connect directly with the speakers, and provides a way for others to contribute even if they were not able to attend. Thanks for these insights. A good place to start blogging is as a guest on someone else’s blog or as a contributor to a community blog such as LSE Impact blog or the Integration and Implementation Insights blog (http://I2Insights.org). The latter, which I run, has helped many academics write their first blog post and is a good forum for those who only want to blog occassionally. If you are interested in sharing and learning about concepts and methods for tackling complex social and environmental problems, you may want to check it out.